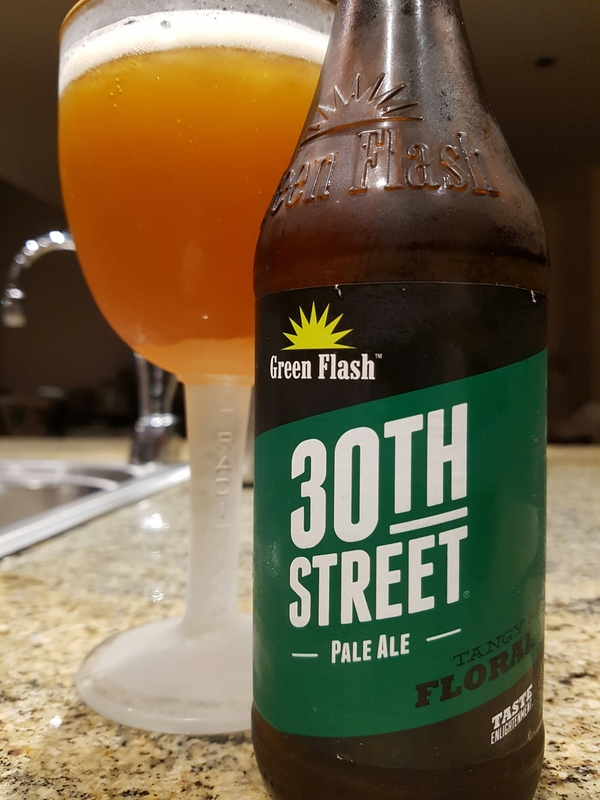 30th Street Pale Ale – Green Flash Brewing Co. (San Diego, CA, USA) | Justintoxicated. Visual: Pours barely translucent orange with a smallish head, a superfine layer of micro retention, suspended sediment, clustered steady streams alongside tight singulars. Finish: LONG length dry soft bitter resiny hops, dry grassy finish. Summary: Supremely clean hop oils and an amazing creaminess to go along with it. 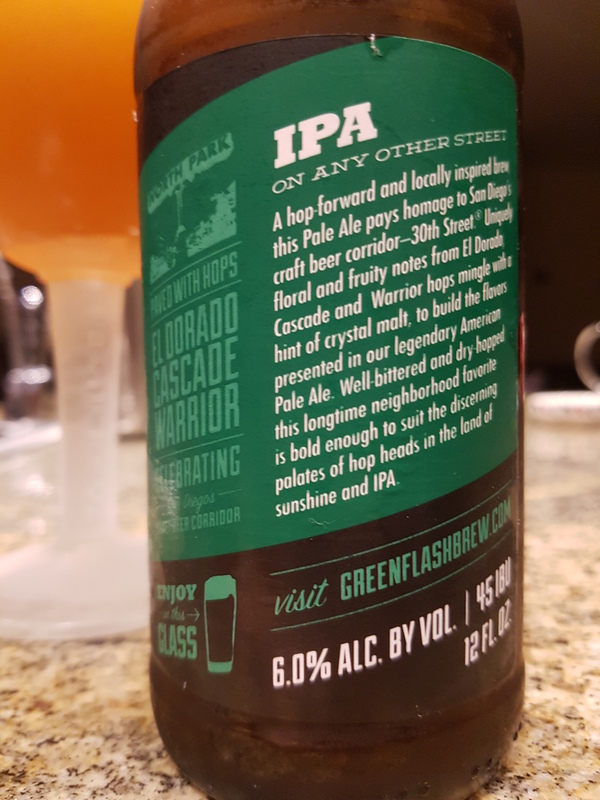 A bright showcase of the hops – thumbs up for the consistent quality of Green Flash brews.